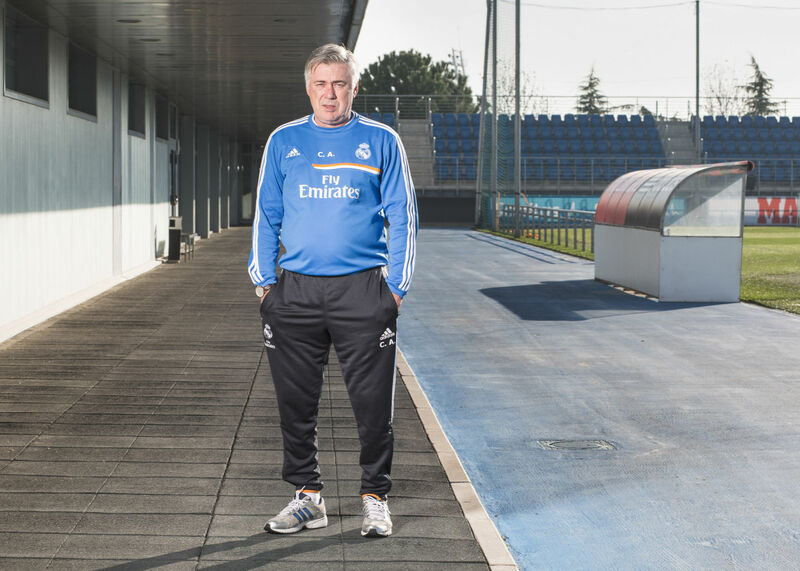 I had a great time photographing Real Madrid manager Carlo Ancelotti at the club’s training ground in Valdebebas, for the FT Weekend Magazine. 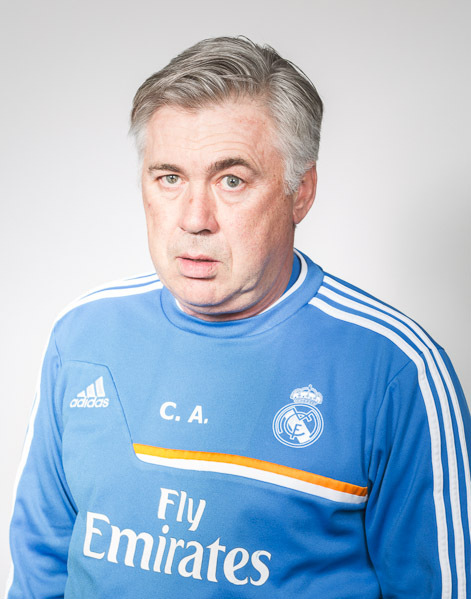 We were directed to a practice pitch in the far corner of the facility, and spent 30 minutes setting up. 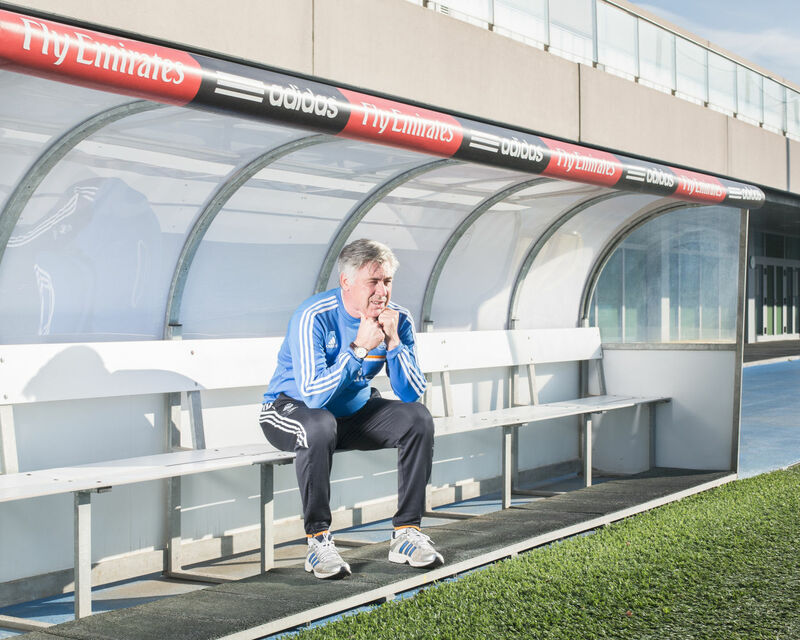 I shot a handful of setups in the few minutes that we had, but luckily I did get the chance to ask Mr. Ancelotti if he had come across my team, Huddersfield Town, during his tenure at Chelsea. I was surprised and delighted to discover that he was well aware of the mighty terriers! 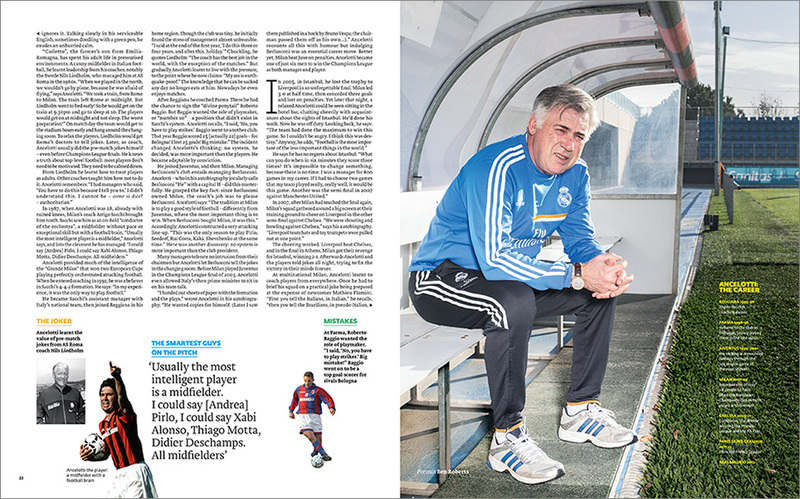 The FT ran one of my images from the mockup ‘Managers Dugout’ that was on the side of the pitch, alongside a feature written by Simon Kuper that is available to read on the FT website now.